Inspired in part by Moneyball and the analytics revolution that has changed baseball, the Pilates Metrics app helps instructors keep a detailed session history and customize specific exercises for future sessions based on past performance. But that’s just the start. 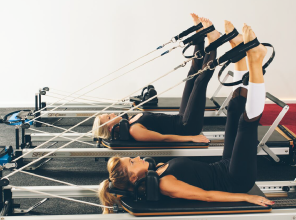 By quantifying performance statistics, Pilates Metrics has the potential to show a correlation between pilates activity and rehabilitation and wellness. Pilates instructors can create a list of scheduled sessions for individual clients. Individual sessions can be planned out down to the specific exercises to be completed. During pilates sessions, a client's performance can be rated and recorded for future reference. Many of today’s most advanced Pilates instructors are still using pen and paper, or a one-size-fits-all personal training app which has nothing to do with Pilates, to track a client’s activity and progress. 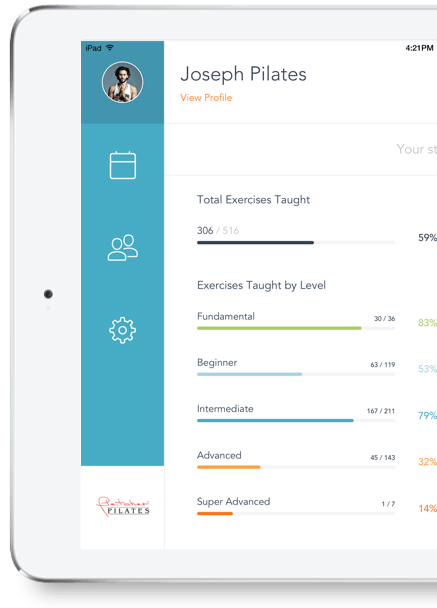 The Pilates Metrics app allows instructors to schedule personalized client sessions with Pilates-specific apparatuses, exercises, and language. In addition to a modern means of collecting and tracking data, users also benefit from being able to visually see their progress from each session. The vision for the Pilates Metrics app extends far beyond beautiful data visualizations. By quantifying performance statistics for both instructors and clients alike, the Pilates Metrics team believes that over time they can aggregate and anonymize this information, and ultimately show a correlation between Pilates activity and rehabilitation and wellness. The app helped Pilates Metrics founders Joseph and Karinne Quinn to be recognized by Galvanize as one of the 10 most exciting and innovative startups in digital health. They were also selected to the Google For Entrepreneurs Mentorship Program.